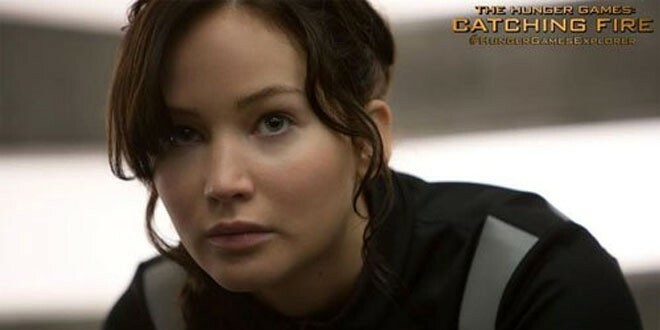 Home » Entertainment » Hollywood » Hollywood Buzz » The Hunger Games: Catching Fire Retains Top Spot for Second Week on Box Office! The Hunger Games: Catching Fire had an impressive opening at the box office and it has managed to keep its magic stay for the second week. It remained at the top spot for the second consecutive week making revenue from the Thanksgiving holiday weekend. The second film in the Hunger Games trilogy, which stars Jennifer Lawrence, Josh Hutcherson and Liam Hemsworth, scored another $31 million on Friday and locked in a $76.6 million three day total. Disney’s animated newcomer “Frozen” landed in second place with an impressive $25.8 million Friday and a $63.8 million weekend. Rounding out the top five in earmarked earnings are Chris Hemsworth’s action fantasy “Thor: The Dark World” ($10 million) in third, Malcolm D. Lee’s “The Best Man Holiday” ($9.2 million) in fourth and Vince Vaughn’s comedy “Delivery Man” ($6 million) in fifth. Miley Cyrus & Liam Hemsworth - More Problems! Previous: Train Derails in New York, 4 Killed! Next: Maria Bello Says She is Dating a Woman!